Cadillac sales in March totaled 13,053 units, down 5.1% year-over-year from 13,756 vehicles sold in March 2015. Sales at retail totaled 11,514 units, down 6.5%. Through the first quarter of 2016, Cadillac’s US sales are down 4.1% from 37,175 vehicles in Q1 2015 at a total of 35,633 vehicle delivered, while retail sales are down 10% at 30,150 vehicles sold. Sales were up month-to-month from the 11,840 vehicles sold in February. A big cause for the drop in sales was an 18.6% decline from the SRX, which fell from 5,000 units in 2015 to 4,071 units last month. This is likely a result of GM’s ongoing fleet reduction, as well as customers holding off for the soon-to-be-released XT5 crossover that will replace the SRX in the Cadillac lineup. To-date, SRX sales are up 4.7% at 12,866 units sold. 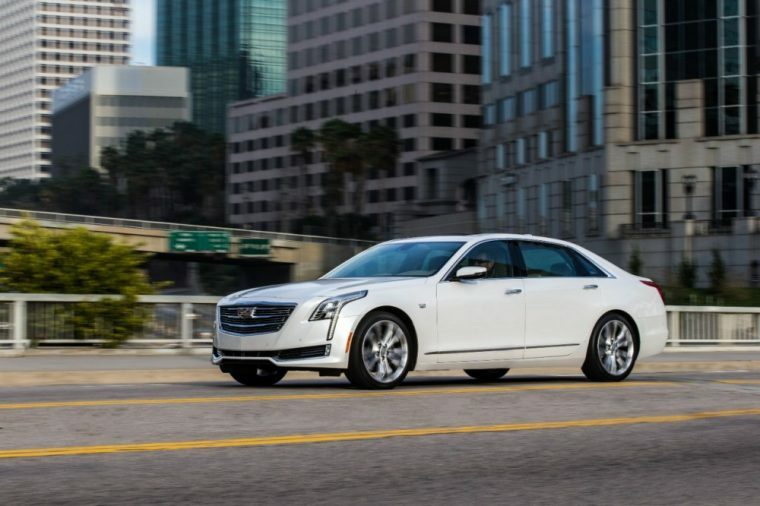 Cadillac’s sales in the months ahead are likely to receive a significant boost from the launch of the CT6 sedan, which began its rollout late in the month. Cadillac sold 35 CT6s right out of the gate, and that number is likely to be significantly larger in April as it hits more dealerships around the country. The Cadillac ELR, Escalade, and Escalade ESV all posted year-over-year gains in March, with the ELR up 13% at 104 deliveries, Escalade up 18% at 1,974 deliveries, and Escalade ESV up 16.5% at 1,264 deliveries. Both the Escalade and Escalade ESV posted sales increases in the first quarter, with the Escalade up 4% at 5,021 deliveries and Escalade ESV up 0.4% at 3,086 deliveries. ATS sales were down 8.8% at 1,859 vehicles sold, CTS sales were flat at 1,499 vehicles sold, and XTS sales were down 5.1% at 2,247 vehicles sold. Cadillac notes that its average transaction price at retail was $55,000 in March, up $1,700 year-over-year.